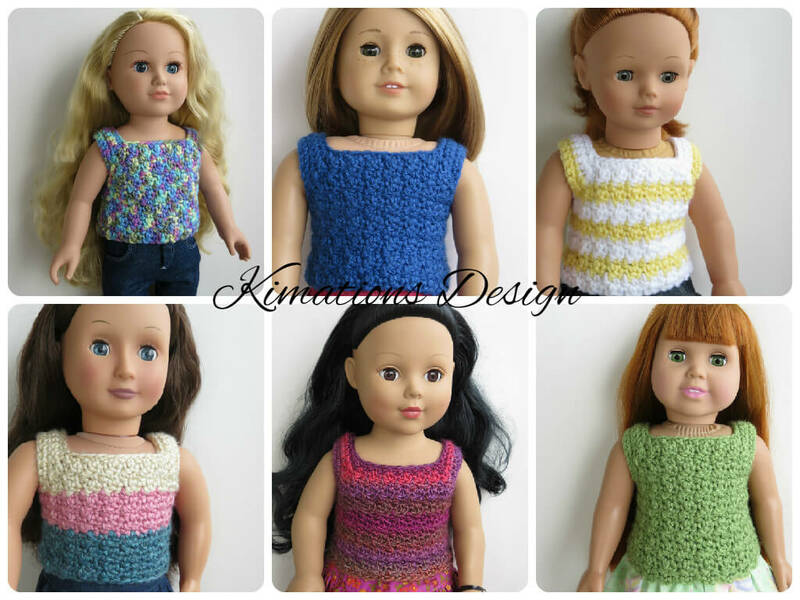 Today I’m thrilled to share my American Girl Patterned Tank Top pattern with you! It’s top down, seamless and one piece, which makes it quick to work up. The pattern is formed by alternating sc and dc. I’d love to see your finished top! You can share it with me on Facebook and/or add it to your Ravelry projects. 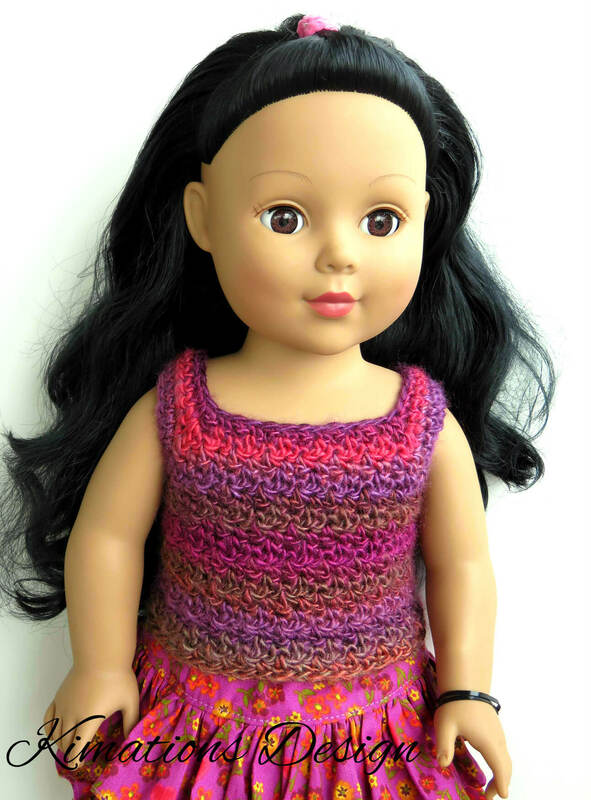 The following 18″ dolls have tried this top on: My Life, American Girl, Götz, Our Generation, Madame Alexander, and Springfield. Please do not reprint or repost this pattern, but please do link to this page to share with others. Do not sell or reproduce this written pattern. If you sell anything made from this pattern, please give credit to me for the design and include a link to either the free pattern or my blog. Thank you! The ch 4 at the beginning of rows 1, 5, 9, and 13 are the buttonloops. 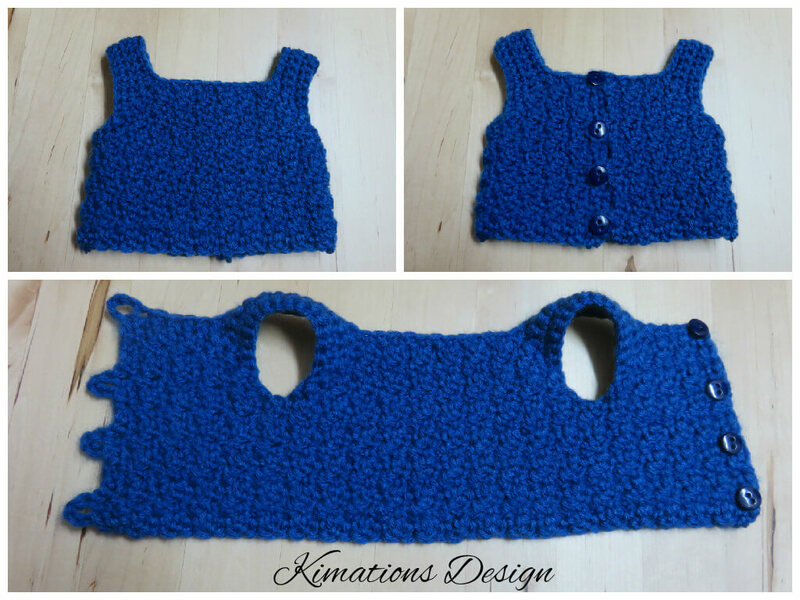 The tank top is worked top down in one piece, turning after each row. The first row is the right side. Work the first row into the back ridge of the chains for a more finished look. 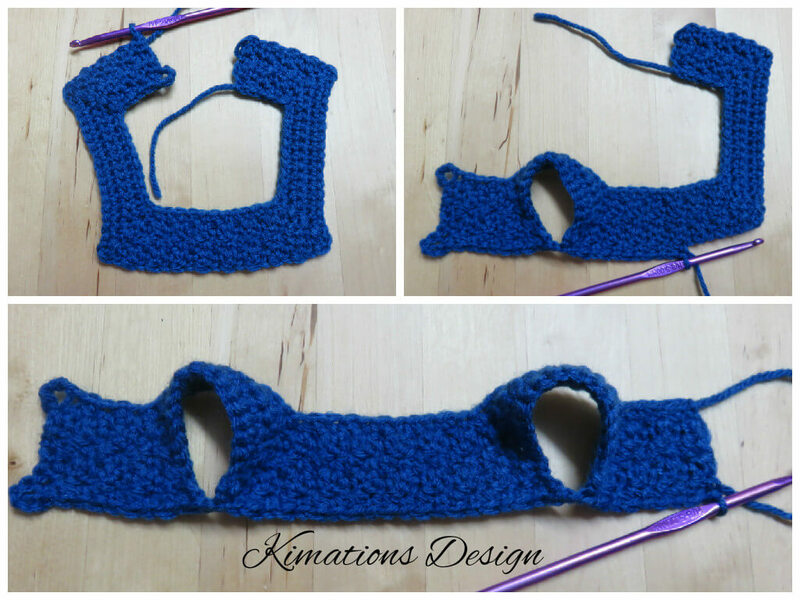 The next row will form the armholes. Hi, I made this Tank Top out of Sugar ‘n Cream Cotton, in Over the Ranbow yarn color and it is BEAUTIFUL! I’m going to make a second one this evening. Thank you for posting this pattern! Thank you! 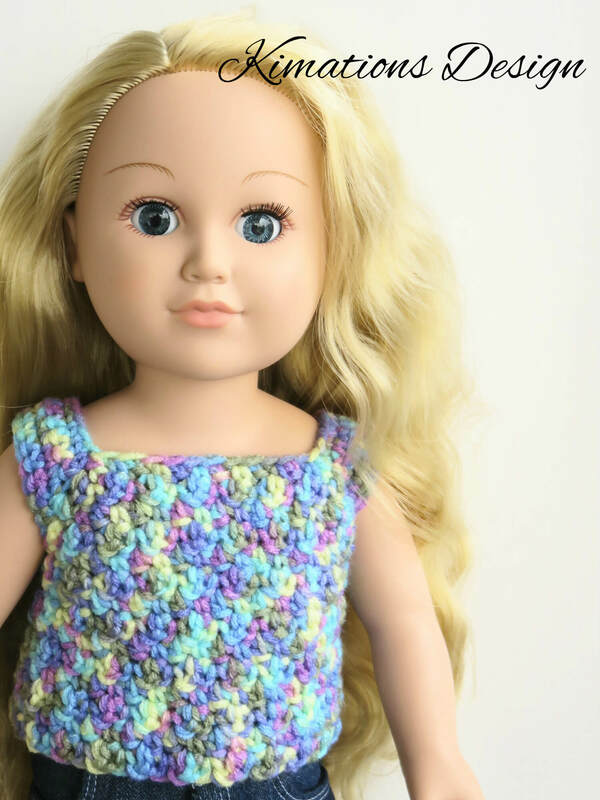 I am making American Girl doll clothes for my niece!